Do your photos live on multiple hard drives? Or, are you out of hard drive space? Are worried that your images aren't really backed-up? 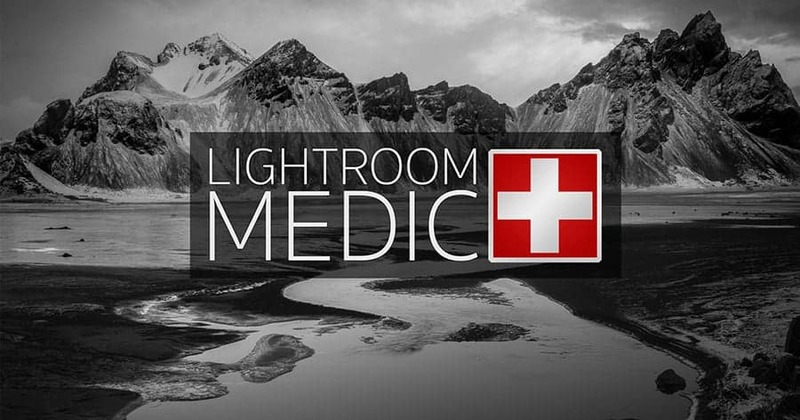 If you answered “yes” to any of these questions: welcome to Lightroom Medic! 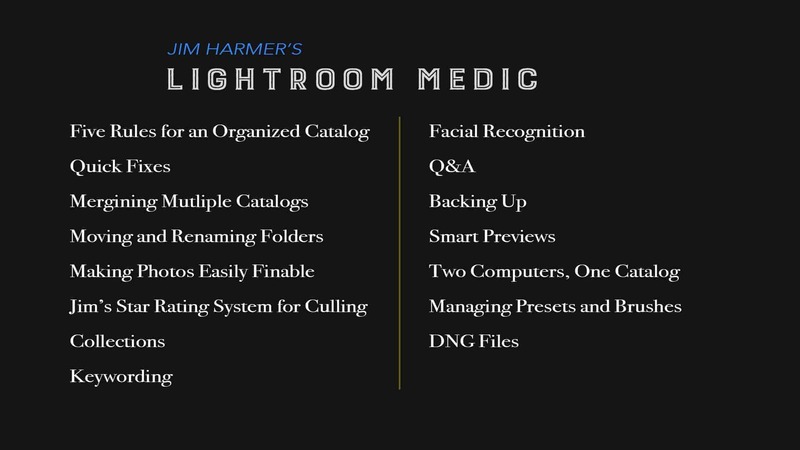 Our must-watch training for any photographer wanting to streamline their Lightroom workflow ONCE-AND-FOR-ALL. Learn Jim Harmer's preferred methods for storing, categorizing, backing up, and rating photos in Lightroom. (Plus, a whole lot more!) Optimizing your photos in Lightroom will save you a ton of time and headache for years to come, so let's dive in! The Goal: Every photo you've ever taken should be findable within 60 seconds or less, and the risk of losing a photo should be minimized to nearly zero. We wanted you to have these to use in your newly organized library! Presets included: Import/Export, Everyday Photo Design, Portrait Design, and Landscape Trends. Follow these rules, starting today, to keep your Lightroom in tip-top shape! Jim shares his exact settings in Lightroom that dramatically improve the speed and organization of the program. You can make these changes by just checking a few easy boxes in your Lightroom settings and see a significant improvement in just 2 minutes. It's incredibly important that you can find your photos when you want to find them! Jim shows what to do, and more importantly, what NOT to do. Jim shows you his preferred methods for rating photos, keywording, using Lightroom's facial recognition feature, and MORE! Everything you need to know about managing presets and brushes, backing up, smart previews, DNG files, etc.! Jim Harmer is one of the most popular photographers online, with nearly a million followers on social media. 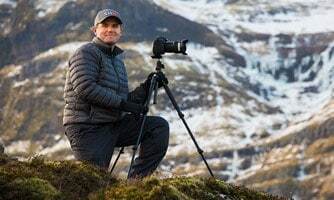 He travels the world to holding his popular, completely free photography workshops with his readers across the globe and hosts the Improve Photography Podcast each week. His photographs have been purchased by private art buyers as well as large publications such as Time, Readers Digest, and Nikon. Jim is well known for his easy-to-understand and down-to-earth teaching style. View Jim Harmer's Portfolio here.